Staying true to our founding roots of leadership and pride in the community. Cervus Equipment is the Official Agriculture and Commercial Equipment Supplier for the Calgary Stampede. Cervus Equipment’s roots are here in Alberta, and we hold true to our founding values of leadership and pride in the community, making the Calgary Stampede the perfect partner for us. At Cervus, we value people. People who build our communities, grow our food and move the goods we rely on. These people make up the community we’re proud to support and be a part of. Every night during the incredible 10-day show, our John Deere 9RX hauls a massive stage into place for everyone to enjoy the evening Grandstand Show, filled with music, spectacular stunts and jaw-dropping pyrotechnics. 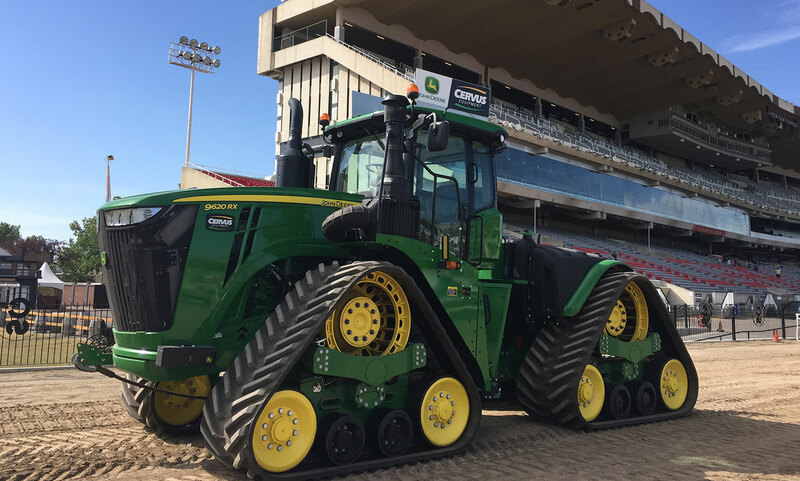 Rain or shine, you’ll also find our John Deere tractors hard at work preparing the track for the Calgary Stampede Chuckwagons. Each year, our hard-working 4WDs put in more than 100 hours preparing the track for cowboys and their horses to put on the world’s premier chuckwagon event. We’re proud to support Canada's largest gathering of 4-H clubs in our Calgary regions. As the presenting sponsor, we play a major role in helping to support this program that provides our local youth the opportunity to grow as leaders. During the three-day youth competition, Cervus employees volunteer their time to get involved in presenting banners for showcases and a multi-judging contest, which gives members the opportunity to further improve public speaking skills. 4-H on Parade is the largest youth show in Canada and we’re proud to be a part of this opportunity. 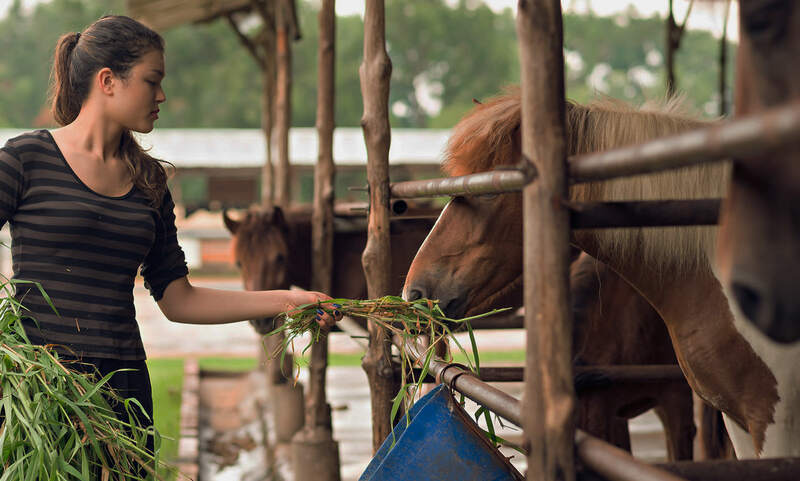 Aggie Days inspires agriculture education with interactive activities – from milking cows to sheep shearing, livestock auctioneering and much more. At Aggie Days, children and parents get up close and personal with live animals including baby chicks and horses and learn how plants grow and what they need to survive. Cervus Equipment provides John Deere equipment along with in-depth equipment tours for attendees to learn the ins and outs of agriculture equipment. Through Aggie Days, participants learn how John Deere equipment has played a crucial role in feeding the world with its 180-year heritage. 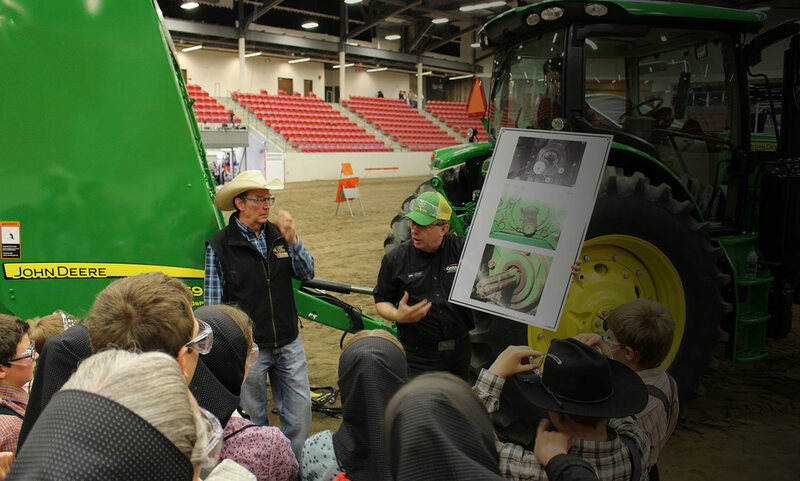 AltaLink Farm Safety Days is an event for students in grades 6-9 to learn about livestock and equipment safety, distracted driving, first aid and more. 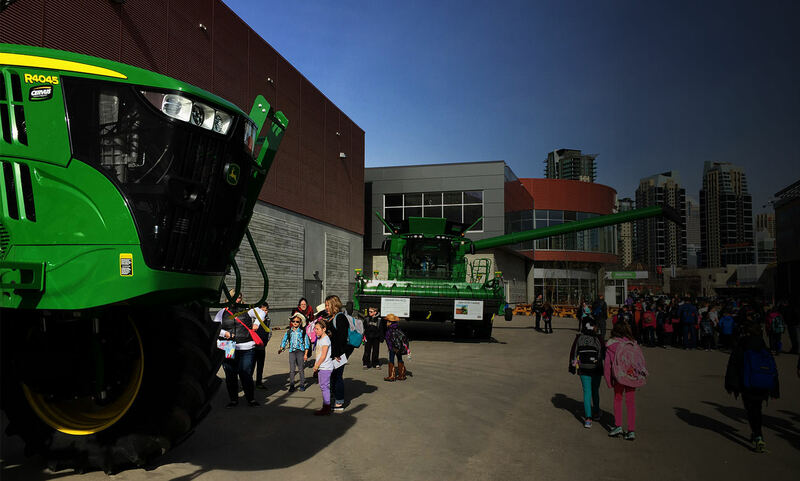 Every year, 700 students participate in AltaLink Farm Days where we show kids the importance of farm safety with live demonstrations that feature our John Deere combines and tractors. At Cervus, safety is our top priority, and it is not only important for us to promote this value not only throughout our organization but also through our communities.